Happy Monday! I just wanted to quickly share the code for 50% off your purchase at Ann Taylor. Use code MYSTERY50. Valid online only. Sale ends Tuesday 5/23 at 3AM EST. I also noticed that their shipping minimum is currently $125+ versus the usual $175+. I was taking photos of this dress last week and this adorable grey goose kept following us around the park. My husband got a photo of me with the little photobomber. It’s my first time seeing this type of goose since we usually only see Canadian geese (with the black head and neck). I tired on this stripe peplum top this past weekend since I saw it on my follower Angel @angel_yunjie. Unfortunately size XS was too loose on me which is difficult to tell from this picture and size XXS regular (currently sold out online) would be a bit too short for my preference. 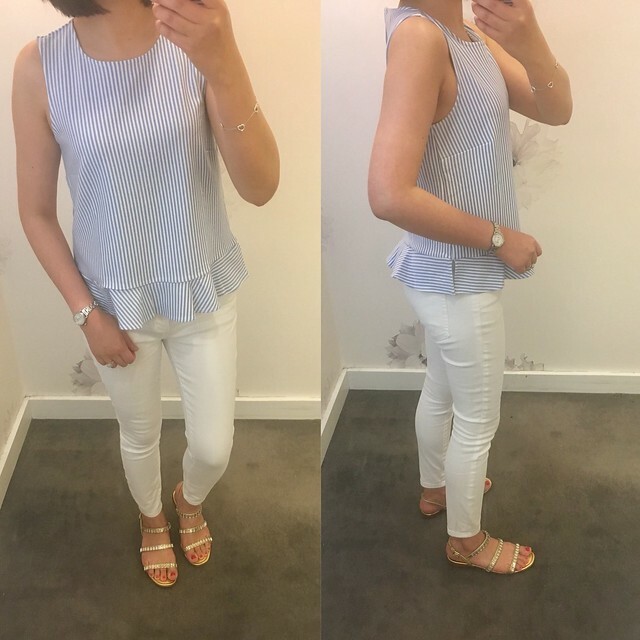 This top fits true to size for a loose, comfortable fit but it definitely has a shorter overall length. I was placing my online order and I noticed that in addition to getting 50% off I also received an extra 20% off ($41 off of $205). I assume the extra savings are due to being a cardmember although I don’t recall reading any mention of this additional discount anywhere. 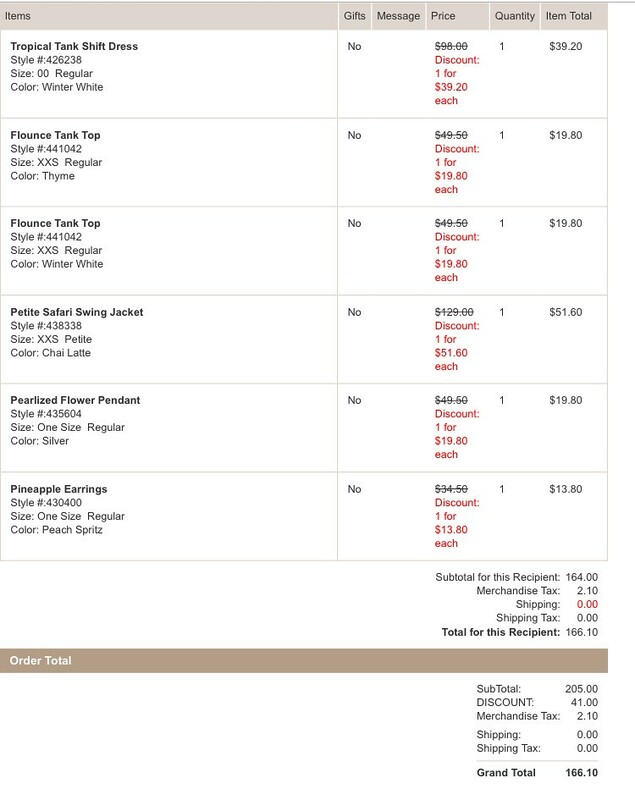 I had culled my shopping cart and ordered only my top picks below but at 60% off retail it’s rather tempting to order some of the other items on my wishlist.